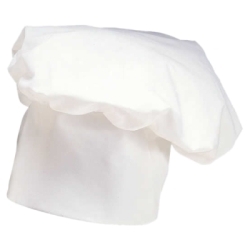 Our white traditional chef's hat is one of our most popular hats. It is used in a number of shows and is perfect for a quick and easy costume. This hat is one size and fits most adults. Don’t forget our chef apron to complete the look!